In the space of just one month, Manchester United seem to have their swagger back. The Red Devils are leading the form table in Premier League after Ole Gunnar Solskjaer guided them to four successive victories, the last of which came against Newcastle on Wednesday when substitute Romelu Lukaku scored with his first touch. 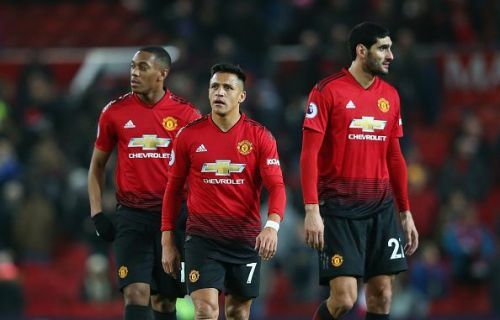 The United caretaker manager has confirmed that both Lukaku and Sanchez will start the FA Cup third meeting against Reading at Old Trafford. Paul Pogba is a doubt after suffering a knock against Newcastle. This will provide a chance to the likes of Fred and Perreira to deputize. David De Gea has not been included in the 18-man squad, so Sergio Romero is most likely to start in goal. For Reading, they have former United defender John O’shea in their ranks. The 37-year-old will hope to start against the club he spent more than 10 years. Reading currently sits second from bottom in the championship and will be without Tyler Blackett and Leandro Bacuna. Manchester United: Romero, Dalot, Jones, Lindelof, Young, Fellaini, Fred, Perreira, Rashford, Sanchez, Lukaku.